Short and sweet. 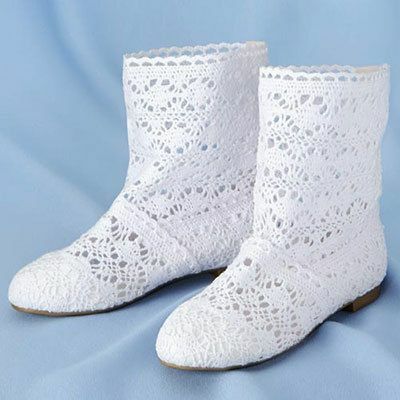 Slip-on, ankle boots are crocheted in polyester with webbing-reinforced toe and heel to help hold its shape; polyester pull tab at back for easy on-off; rubber sole for comfort. Imported. Available in whole sizes.